A predominantly black county in rural Georgia is facing a nationwide backlash over plans to close about 75 percent of its voting locations ahead of the November election. County officials say the locations are inaccessible to those with disabilities; critics say the closures will disenfranchise black voters ahead of an election in which a black candidate is running for governor for the first time. The Randolph County elections board is considering a proposal to eliminate seven of nine polling places in the county. The seven precincts in question don't comply with the Americans with Disabilities Act, county officials and an independent consultant say. Civil rights groups have publicly opposed the plan, saying it will cause confusion and make it difficult for rural voters without transportation to get to the polls. Census figures show the county's population is more than 61 percent black, double the statewide percentage. The circumstances leave "a reasonable observer to wonder whether the real motive behind these closures is indeed to make it harder for African Americans to cast a ballot," American Civil Liberties Union of Georgia attorney Sean Young said in a letter sent to county officials Aug. 14. The county elections board is scheduled to vote Friday on the plan, which Coleman said was proposed by an outside consultant recommended by the elections director in the office of Secretary of State Brian Kemp. Kemp, a Republican, is running for governor in November against Stacey Abrams, a Democrat and the former House minority leader who is seeking to become the first black, female governor in the country. Kemp and Abrams both issued statements saying they oppose closing the polling places before the November election. "We strongly urged local officials to abandon this effort and focus on preparing for a secure, accessible, and fair election for voters this November," Kemp said. 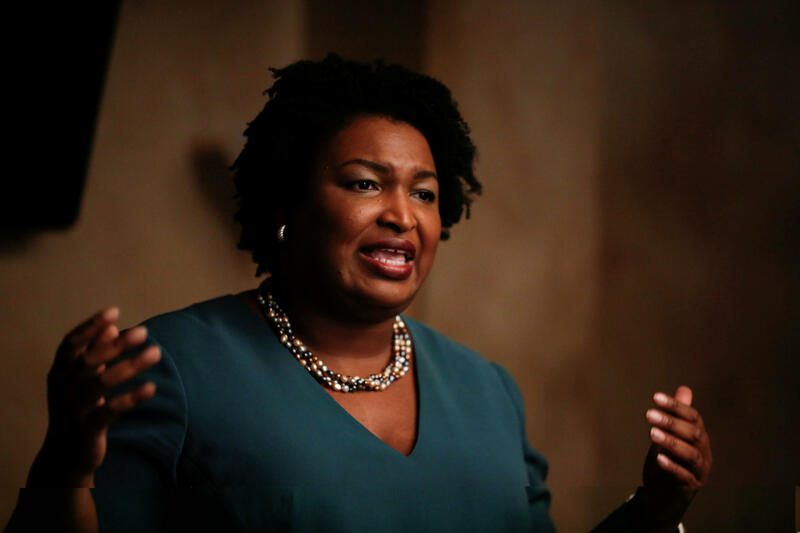 In an email to supporters, Abrams wrote that a "proposal to eliminate nearly every polling location in a Black Belt county belongs in a history textbook, not the current events section." County officials asked Kemp's office for guidance after the former county election supervisor abruptly quit earlier this year, Coleman said. The elections director, Chris Harvey, suggested several possible consultants, said secretary of state spokeswoman Candice Broce. Coleman told the AP that Harvey only recommended one, Mike Malone. Reached by the AP on Tuesday, Malone's only comment was, "I don't have anything to do with the board's decision." He didn't elaborate and said his attorney told him not to comment. County officials have been inundated by emails from around the country — and as far away as England — demanding they scrap the plan. Coleman said the idea of consolidating polling places in the county has been tossed around for a while because there are some with only a handful of registered voters — including one with 11 and another with 13 — and it's expensive for the county to staff those precincts for so few voters. He also said the county's financial hardship means there is little hope the buildings could be made compliant with the ADA. Documents show county officials have long been aware of the ADA compliance problems. A 2012 settlement agreement between the U.S. Department of Justice and the county specifically included a section on polling places. The county used a grant to fix violations at the courthouse but didn't address the other violations identified in the report, Coleman said. No one from the Justice Department ever reached out seeking updates, so the county didn't provide them, he said.